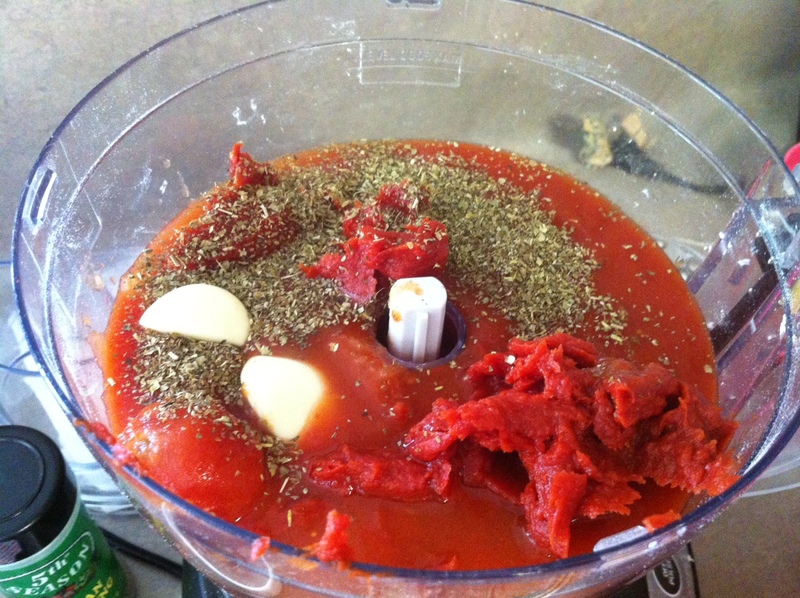 Dump your tomatoes, water, garlic, and Italian seasoning into food processor or blender. 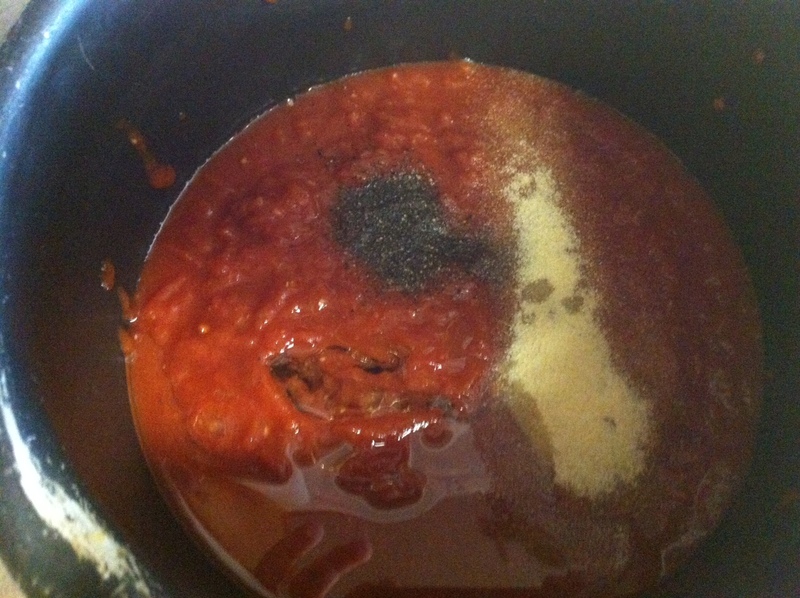 Dump into a saucepan and add your pepper, onion powder and oil. Mix well and simmer for 10-15 minutes. Wha…..Lah! 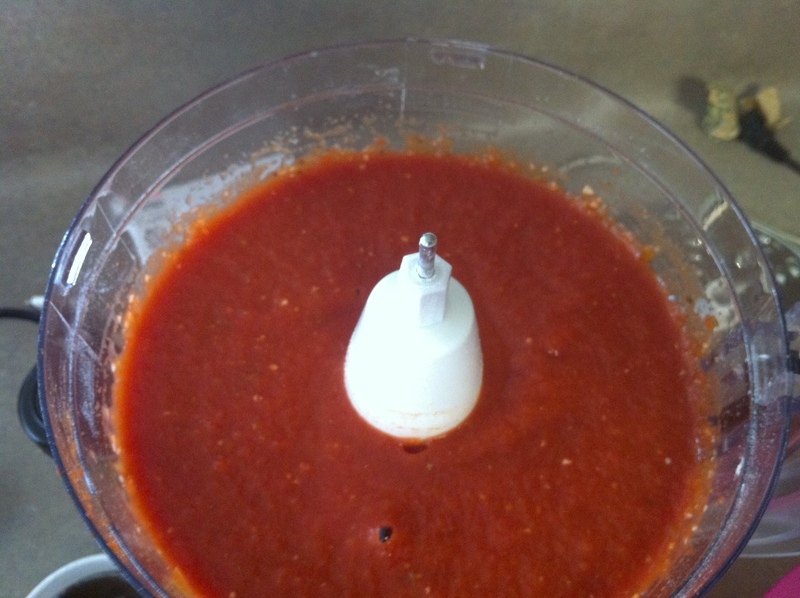 Delicious sauce for all your favorite pasta dishes.